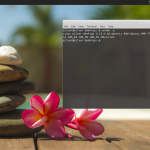 Linux Mint 17 has been released and is named Qiana. 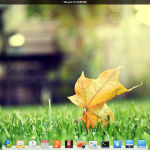 Mint is one of the best linux distros that targets desktop users with focus on usability and simplicity. It comes in various flavors with different desktop environments like Mate and Cinnamon and different base distros like Ubuntu or Debian. Download the correct iso (32bit or 64bit) for your system, burn to a dvd or write to a usb drive and boot in. Once you install completes, its time to charge up the system with some tweaks and essential apps to get the best performance and experience. The first thing to do always is to make the system up-to-date. Run the following commands in a terminal. Or use the Update Manager (mintUpdate) that can be found in Menu > Administration. Every release of Linux Mint comes with a new set of nice wallpapers. But you can also install wallpapers from the previous versions. Linux Mint 17 has firefox installed by default. You can get more browsers like Chromium and Google Chrome. The chromium browser is available in the repositories. For Google Chrome visit google.com/chrome and download the deb files and install them using gdebi. The adobe flash plugin package (adobe-flashplugin) is installed by default on Mint so should be able to play flash games and videos inside Firefox. Google Chrome now uses the Pepper API based flash player which comes inbuilt with it, so you don't need to do anything for Chrome either. For Chromium however, the Pepper based flash player is not included (being a non-free component) and has to be installed manually. Install the following package to install the pepper flash player for Chromium. It will download the pepper flash player from Google Chrome browser and put it inside Chromium. The restricted extras package would install most of the essential codecs for playing formats like mp3. It would also install the microsoft fonts. To enable playback of encrypted dvds, install the following package. If you are having an nvidia or ati graphics card or broadcom wireless card, then install the proprietory drivers provided by the vendor. These drivers would get you the best hardware performance. Linux mint repository already has the package for dropbox client, so you need not go elsewhere. If you still prefer to download dropbox from the official website then head straigh to https://www.dropbox.com/install?os=lnx and follow the instructions and download the deb installers for Ubuntu. Copy is another cloud storage solution that has a native Linux client. Check it out at copy.com. It also has a ppa repository. Skype is available in the Ubuntu canonical partner repositories. To be able to create rar archives from the context menu in file managers like Nemo, install the rar utility. Along with rar, install a few more packages to add support for other archive formats. Clipboard managers allow you to maintain and access history of items that you copied in the past using Ctrl+C for example. There are many clipboard managers for gnome like diodon, clipit, glipper, parcellite. Then launch them from the Application menu and they should start everytime you login. Get some goodies for your desktop. You have desklets for the desktop area, applets for the panel, extensions for desktop effects and themes for the desktop design. Go to system settings, click on the specific icon and you would see a list to select from. Click the "Get more online" tab to download more such goodies. You might notice that Firefox has the Yahoo search engine selected by default and the search engine list does not have Google in it. Click "Manage Search Engines" > Get more search engines. It will take you to http://www.linuxmint.com/searchengines.php. Scroll down to the section of commercial search engines and find the Google logo and click on it. Once you are on the next page, click on the search engine list again and this time you would see an option "Add Google". Click on it and Google search engine would be available. Dropdown terminals allow you to access terminals at the press of a single key. 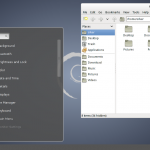 Guake is one such dropdown terminal for gtk based desktops. Dropdown terminals show/hide upon request and keep running so you do not need to open the terminal from the menu or launcher. Guake needs to be configured to start everytime on Logon. First find out the path to the guake command. Click Add. Now Guake is in the list of running applications and would start automatically everytime. Uget is a simple and robust cross platform download manager and works very well on Linux. It lacks the ability to download files in multiple parts, but is still a very stable download manager. Linux Mint comes with Transmission which is a simple and efficient torrent client. If you are looking for a more featureful torrent client, than you can try out the deluge or vuze (formerly azureus), or qbittorrent. 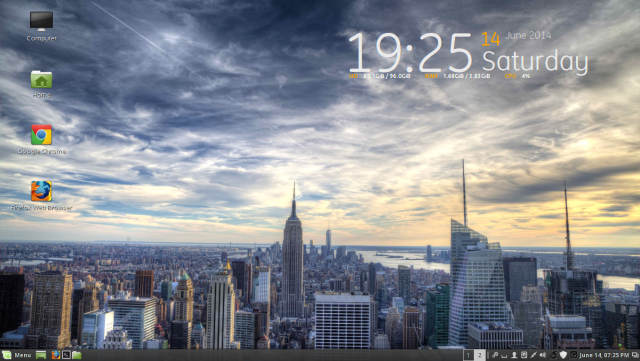 Apart from Cinnamon the other popular desktop environment that comes with Linux Mint is the MATE (Maatay) desktop. Install it if you want to try it. Now you can select the MATE session at the login screen. If you have other ext partitions, to store and backup files for example, then you need to make them writable to avoid using root privileges every time. First open the partition mount directory in a file manager using gksudo. Give "File access - read and write to owner, group and others. For Ntfs partitions you do not need to do this. Conky is a lightweight system monitor that displays statistics about various system resources like cpu, memory, network etc on the desktop using graphical widgets. Its not a necessary thing, but gets you some eye candy for the desktop. 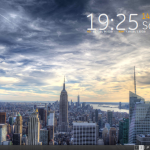 Launch Conky Manager from the applications menu and add widgets to the desktop. Also check the option to start Conky on system startup. Linux does have some cool games that are quite entertaining and yet free. Note that some of these games like supertuxkart and 0ad require dedicated graphics processors for optimal performance. There are a lot more games in the repository that you can install. Alien arena, secret maryo chronicles, supertux, frozen bubbles etc. After everything, cleanup the system by removing unnecessary packages. If you are looking for still more applications for your Mint box, then here a small list of more good apps. All of them can be installed from Software Manager. Bleachbit - Free disk space by deleting old/temporary files. So grab your favorite ones and enjoy Linux Mint !! The "icedtea-plugin" is already installed which enables firefox to play java applets. However Chrome and Chromium no longer support NPAPI based plugins. So java applets would not work in those browsers till a Pepper api based java plugin is available. More information here. Creative comments . I loved the analysis – Does anyone know if my business might be able to get ahold of a template NV Form C-4 form to complete ? I am new Ubuntu User. Should I use Linux Mint? Actually, I don’t know what’s different between Ubuntu and Linux Mint. I am new Ubuntu user so It’s a very helpful post for me. Good Job. Seriously, cinnamon is a disaster, and they didn’t fix a signle thing in 18 too. One of the best ‘after you install LM’ lists I have seen. Kudos! mister siver moon, i have lots of pcs working with linux mint, how can i update them all with just iso or dvd without losing files, not through internet online updates, bcz its quite impossible for me, internet cost and lots of time !?!! Currently its not possible to upgrade Linux Mint using a dvd. Your only option is to take a backup of all data, install latest linux mint using dvd and then restore data. The instructions (linked to from here) for putting gorgeous fonts on the desktop will break the window manager on Mint. I just had it happen to me on Mint 17. Install and configure those fonts at your own peril! You lost me at “install flash player “. 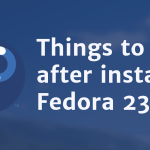 Specially since its step 4 and install updates is not even on this list. How do I get that clock widget from the first picture? you may have to reboot to make active, then right click on columns in list view and choose loads of info. them with `dpkg –add-architecture’ invocations at the command line. How can I resolve this. Just a thought, and I am spitballing here… Perhaps bring up nice tools like apt-fast and Tixati also? I think the article should have mentioned Guayadeque, a extremely unrated music player. It is very stable, can do nearly everything, very easily customized, and by far and away (I’ve tried them all) the best player for dealing with large music collections. Banshee can’t handle a music collection my size…it just lags and eventually freezes. With aria2 plugin, uget can download any files in multiple parts. If you can remove the $ from every line of the console code it will make copy and pasting easier. Great article. What is the desklet on your desktop’s screenshot? Is it part of conky? Hello! Great inputs, thank you. One question, how do I get the kind of settings that you have on your wallpaper? with time and harddisk space displayed? And then you configure it by your needs..
@Tractorman2011:disqus . There is command line (where you simply copy and paste from the webpage) and there is command line (where you have to do things by yourself. I think that Tractorman has a very good point. Sure, we can cut N paste because we are familiar with the command line and are un-scared by it. However most Oldbie’s I know get very nervous with the command line, even if it is within windows. Lastly, cinnamon has been extremely buggy for me. I completely regret downloading it and using it as my default Mint desktop. Mate is also having stability issues and I am trying to get the bug reports in. The XFCE desktop is incredibly spartan, almost blank. Switching to KDE. the cursors but i am unable to do it. Can any can help me out with this. i am new to Linux environment and enjoy it than window. Great suggestions for additions, but why the command line? I think if I were a newbie, I’d be totally scared off. Can’t most of this be done with the update manager and software manager? I’m old enough I’ve used the command line, compiled applications I couldn’t get any other way, fought with drivers, created a database and written PHP and Visual Basic (I am sooooooo ashamed) to access it… But when I installed Mint (12, 13, 14, 15, 16) I took the easy way out. I probably will with 17 as well.